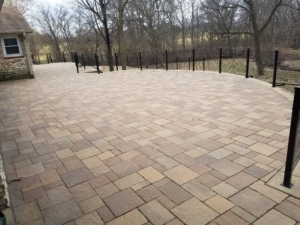 From the driveway to the patio to the sidewalk, pavers transform your home unlike any other product. 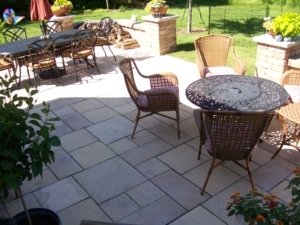 Pavers are a beautiful, long lasting addition to any home. 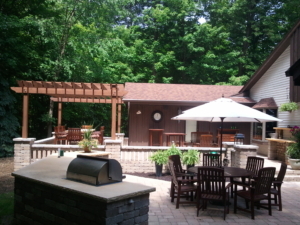 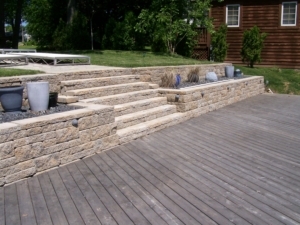 They provide you with a great looking outdoor living space that is comfortable and functional. 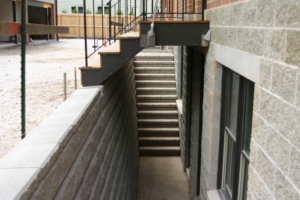 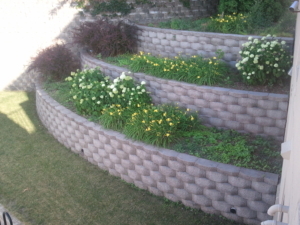 From planters to retaining walls to a beautiful outdoor kitchen we have the right block for you. 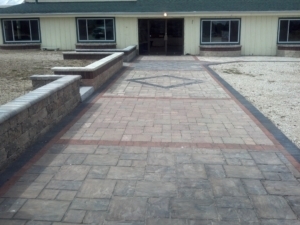 Being in the industry for over 15 years we understand the right products for every situation. 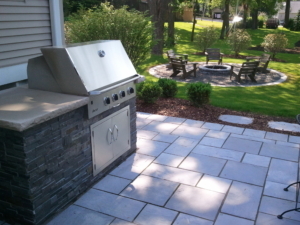 We have a friendly, knowledgeable sales staff with a wide variety of options and can install to fit your schedule. 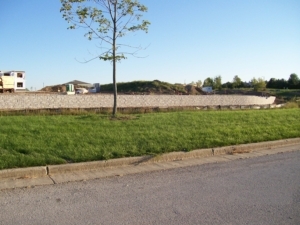 Would you like to see what your yard will truly look like before it is built? 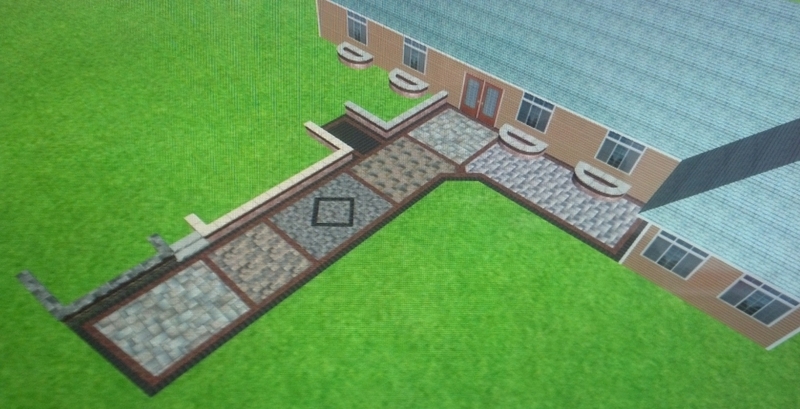 We can do that with our skilled designers and 3 dimensional software. 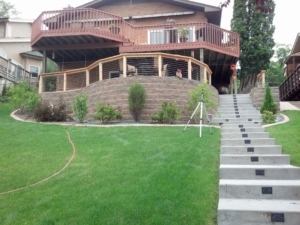 Imagine seeing your new beautiful yard before it’s even started and being able to make changes to get it exactly how you want it. 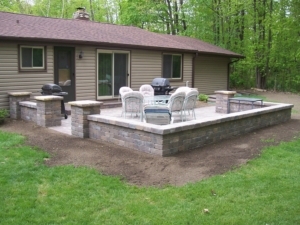 We are a quality landscape/hardscape company founded in 2000. 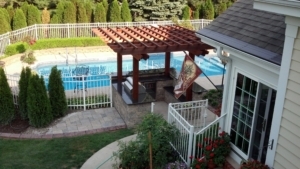 We hold an A+ rating with the Better Business Bureau and quality has always been our number one priority. 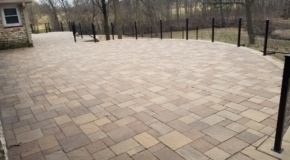 We specialize in brick paver patios, sidewalks, stairs, retaining walls, pergolas, fireplaces, fire pits, low voltage lighting and outdoor kitchens. 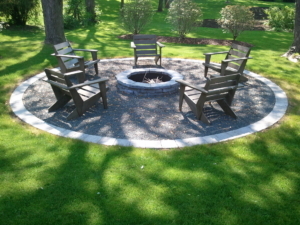 Everything you need to have a beautiful yard you can enjoy for years. 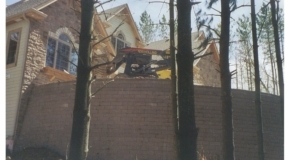 Some of the fine companies we work with.